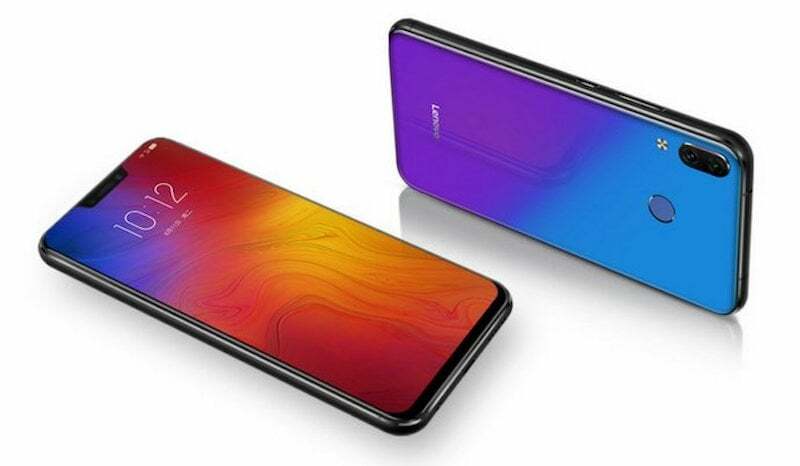 Lenovo has announced its latest smartphone, the Lenovo Z5 in China today. Yes, this is the same smartphone Lenovo has been teasing for weeks now, stating the phone will have a Full-Screen design with no chin or notch, up to 4TB of internal storage and more. Turns out to be everything is false as Lenovo just announced the smartphone and the Z5 is a mid-range smartphone with Snapdragon 636 chipset, up to 6GB of RAM and more importantly, it doesn’t have the full-screen design as teased by the company. The irony is why did Lenovo teased the smartphone with such features? Just to create some hype for the launch, it seems. The Lenovo Z5 sports glass body and has a metal frame running around its sides. The phone has a 6.2-inch Full HD+ display carrying a resolution of 2246 x 1080 pixels. The screen has 19:9 aspect ratio, meaning it has a notch on the top, same as the OnePlus 6 and other smartphones releasing these days. Lenovo said the phone offers 90% screen-to-body ratio. Internally, the phone has the Qualcomm Snapdragon 636 chipset, coupled with up to 6GB of RAM and 128GB of internal storage. The same chipset has been seen on other devices such as the Xiaomi Redmi Note 5 Pro, Asus Zenfone Max Pro M1 and others. The device will be available in other storage options too. There’s no 4TB storage option as teased. The device boots Android 8.0 Oreo out of the box with ZUI 4.0 on top. It also comes with a promise of Android P upgrade, but going by what Lenovo has done now, it’s highly unlikely the phone will receive the update. To the back, we have dual rear cameras of a 16MP primary sensor and an 8MP secondary sensor. The phone offers 4K video recording and comes with various AI modes since AI has been the buzzword of 2018. Frontal, Lenovo has added an 8MP shooter which also offers several AI-based modes. The phone is backed by a 3300mAh battery and comes with Qualcomm Quick Charge 3.0 support. The fingerprint scanner is placed at the rear side. Lenovo launched the smartphone in three colour options- Black, Blue and Aurora. The phone comes in two variants- a 6GB RAM option with 64GB storage priced at 1299 Yuan (approx. Rs 13,500) and a 6GB RAM variant with 128GB storage which retails for 1399 Yuan (approx. Rs 14,500). Both the variants will be available in China very soon, but the Indian launch of these phones is unknown at the moment. Considering Motorola and Lenovo facing a tough time in the Indian market, we can expect the Lenovo Z5 making its way to the sub-continent very soon. What, you guys expected anything good from Lenovo? I refrained from commenting earlier because I already knew about the snake oil….